Oh Belgrade, you have my heart. I can't really point out why, but I feel at home with you. Welcome to our weekly recap! This one's for September 19th - 25th, which is week 38, 2014. Memorable moment: The weather has been up and down, from sunny to grey and back. On one of the sun-filled late afternoons I grabbed my Kindle and headed to a nearby park. On the way I bought a bag of popcorn from a street vendor and a cold drink. I found a free bench in the sunlight and settled down. I wasn't the only one the park had been calling that afternoon. Young girls giggling and whispering, couples so deeply into each others that the rest of the world didn't seem to matter. Families with small kids learning to ride a bike, old ladies with their tiny dogs. I peeked these scenes from behind my book and smiled. Those good moments of every day life. Tip of the week: Both the public transport card (look for a Bus Plus sign) and prepaid sim-cards (look for a mt:s sign) are easy to get from almost every kiosk. What we have realised is that when we try to buy something from a kiosk and the seller waves us to another kiosk, it doesn't necessarily mean that they don't sell the thing we need, but that s/he doesn't speak English. So if unclear, it's better to try again, maybe with different words or sign language. And when you do find one that speaks good English, buy everything you need and ask all the questions. 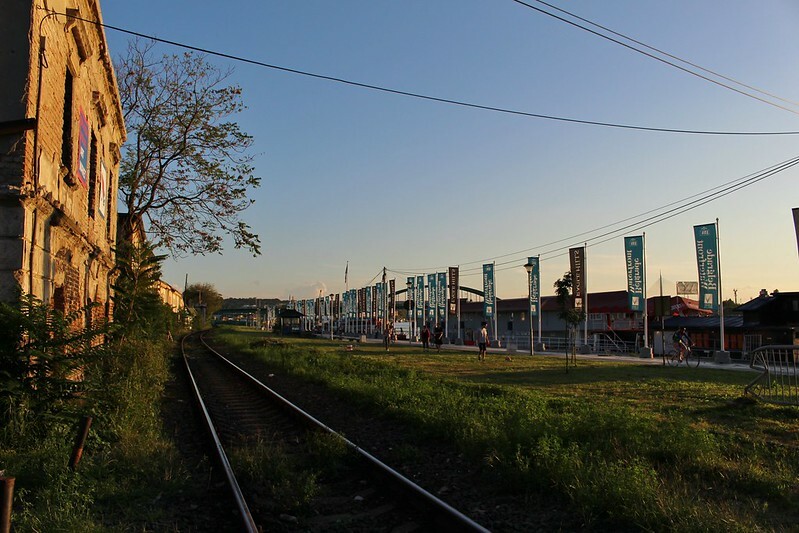 What I've learned: The Belgrade Waterfront is a controversial plan for development of an area next to the Sava river, Savamala. 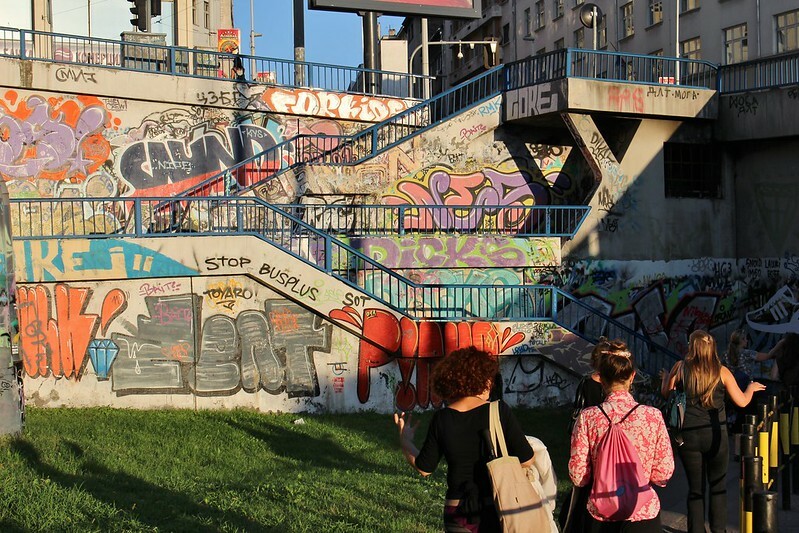 Savamala has plenty of old houses and industrial spaces, but has been in neglect for long. Lately it has been emerging as a cultural area, as well as a popular area for walks/biking along the waterfront. The grand plan (packed by UAE-based investors) is to build a futuristic, luxury neighborhood that is hoped to attract money and tourists. From what I've heard from my local friends, the plan raises a strong opposition in a country struggling with economical problems and high unemployment. - The place now looks like this, but it might be totally different in few years (the visions remind me a lot of Dubai). Food love: Take-away food is so affordable and cheap here, that we have hardly been cooking. From our block we can get Greek gyros, Asian woks, Serbian burgers, sliced pizza, filled baguettes, etc. All for 1-3 euros! Random thought: It's funny how even huge cities can seem small when you're a tourist (I'm including myself in this group at this). 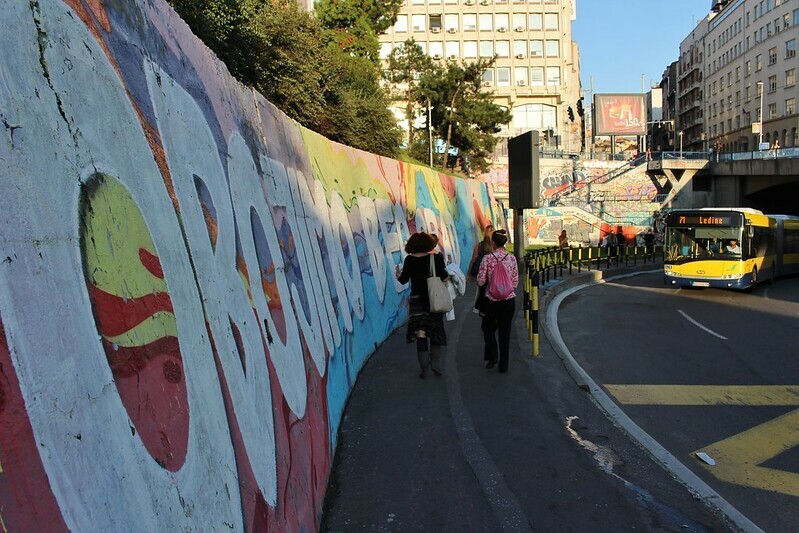 You stay in the central area, visit the central sights and walk everywhere. Totally unaware of the parts city that spread around, where most of the people live and spend their time. 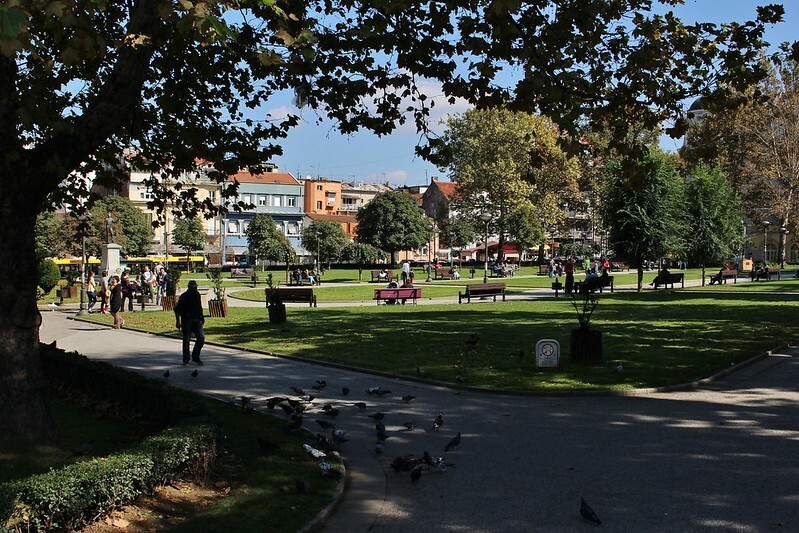 Even our current home, half an hour walk from the strict center, while feeling very central, is outside of the general tourists' idea of Belgrade. 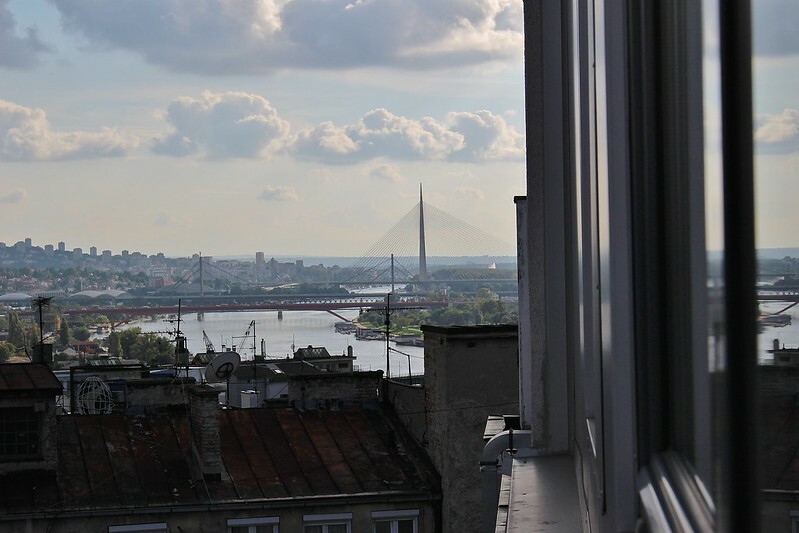 (The pic below is taken from the center, on the other side of the bridge you can see New Belgrade, home for many people, big stores and companies). 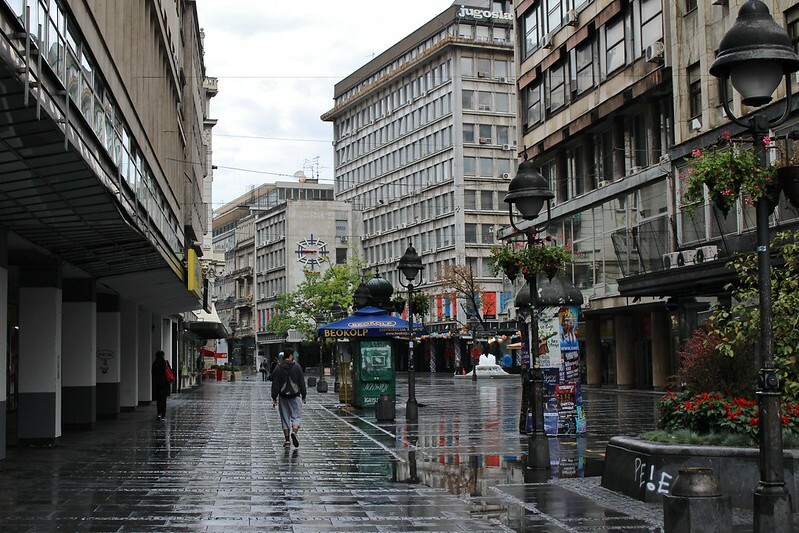 Surprise of the week: Belgrade is a city that seems to be always alive, but when we walked in the center on a grey and rainy, early Sunday morning, there was hardly anyone around. Surreal and somehow so beautiful. 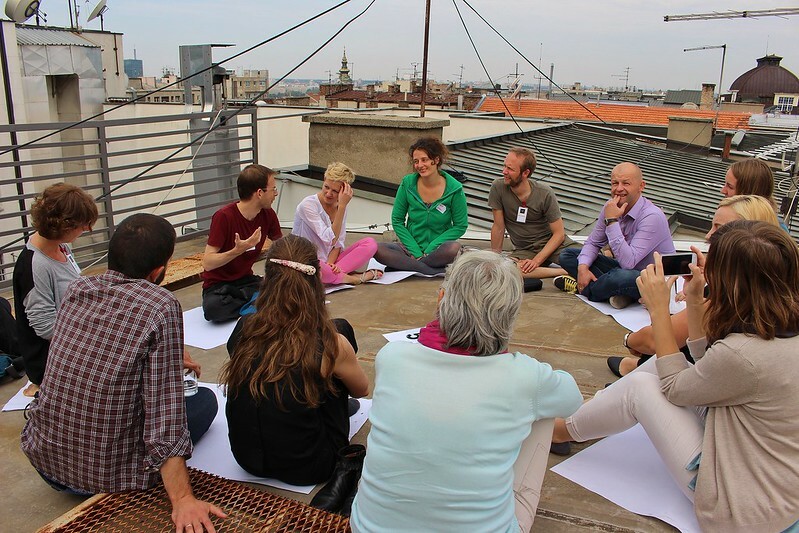 Workwise: One of the reasons for visiting Belgrade now was to participate int the World Open Space on Open Space seminar (WOSONOS). An excellent gathering! It took half of our week and kept in our thoughts for the rest of it. So many good discussions, so many ideas, thoughts and questions. And so many new interesting friends.